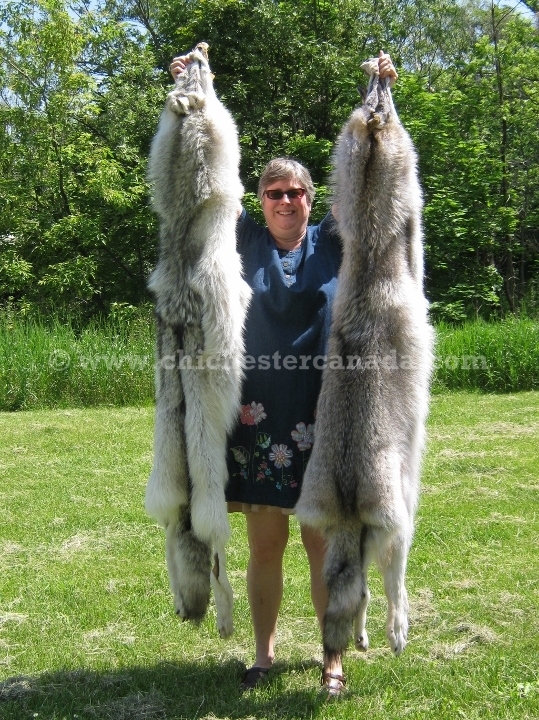 The timber wolf skins are held up by our model, Elizabeth (5' 11"), who is one of our taller employees. Please note that this current website does not have a shopping cart. 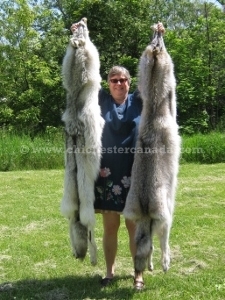 To buy our Timber Wolf Skins online, please go to our e-commerce website at NaturalExotics.ca. These are tanned timber wolf skins. The head, claws, and tail are included, and the skins are cased. Please call for availability. Genus and species: Canis lupus. Wild. For sale in Canada only. Not for export due to CITES controls. We may consider exporting for high value shipments. Please call or email to inquire.